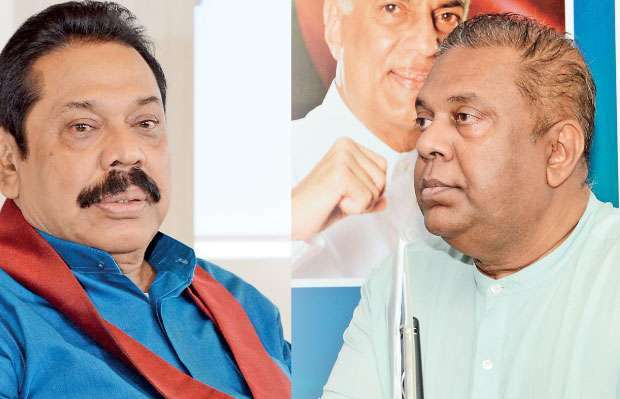 The recent story by New York Times that China Harbour Engineering Company financed the 2015 election campaign of ex-president Mahinda Rajapaksa has caused ripples in politics. That they are only ripples and not tidal waves may imply a degree of political maturity of the government, unseen when it came to power in 2015 and suspended most of Chinese funded projects. That the government has so far reined in its ranks from pouncing upon MR and more importantly China, the largest bilateral lender, is also a somewhat departure from the usual Sri Lankan politics where no stone is un-turned to sling mud at the opponent. According to the New York Times story by its South Asian correspondent Maria Abi-Habib, ‘at least $7.6 million was dispensed from China Harbour’s account at Standard Chartered Bank to affiliates of MR’s campaign, according to a document, seen by The Times, from an active internal government investigation.’ Abi-Habib alleges that the Chinese loans and inducements effectively created a debt trap and led Sri Lanka to handover the Hambantota port to Beijing on a 99-year lease. Both MR and the Chinese embassy in Colombo have denied the allegation. This story does not tell much, other than trying to substantiate the old story of growing Chinese tentacles in Sri Lanka, or for that matter in much of the developing world, via insidious means of predatory loans disguised as development assistance given to autocrats. That is however a subjective call with subjective geopolitical connotations. In fact, empirical studies of Chinese financing and those of other international lenders such as World Bank, Asian Development Bank and other regional institutions reveal that their main borrowers are the same countries. For instance, data compiled by Deborah Brautingam and Jyhjong Hwang revealed, three out of top five recipients of Chinese and Word Bank development aid to Africa during 2000-2014 were the same. Same applies in South Asia, where countries such as Bangladesh, which is heavily tilting towards China for infrastructure loans, still have more outstanding loans to Japan than to China. Same has been true for Pakistan until the influx of CPEC loans and Sri Lanka until the loss of access to concessionary loans due to its elevation to the lower middle income status. Other studies have revealed that the long term benefits of China’s infrastructure loans and those by multilateral lenders in Africa were largely similar. However, Abi-Habib’s story is important for one reason. She cites ‘an active internal government investigation,’ which allegedly details the disbursement of financing from China Harbor’s accountat Standard Chartered Bank to affiliates of MR’s campaign. Now if such a document exists, the government has a responsibility to reveal it. If it believes doing so would strain relations with China, which it probably will, leaking it to New York Times was not also the most sensible option. My hunch of this document is that its substance is no different from the earlier claims of billions of dollars of stolen funds that the government said it has found in the bank accounts in Dubai. Yes, there may be documents, but, as the past has proved those are an assortment of numbers concocted by a figment of imagination. They are nonetheless good enough to assail your political opponent, and take a swipe at MR as he is plotting to make a political comeback . But, such gambles however have their own foreign policy cost as we know from the previous experience of the politically motivated suspension of development projects, and their immediate and still felt residual effect on the country’s economy. However, rather than the power sources that are being used-or even their intended objectives- it is the internal characteristics of the states that set apart sharp power from soft power. So when China allegedly bribes politicians, that is sharp power, when India does the same, that is perhaps , discursive power, when George Soros does it, it is something else. And then it lumps together, all potential civilian and non-coercive sources of power resources of these supposed authoritarian states into sharp power. Effectively, Russia orchestrated fake news that swung elections, Chinese students in Australia, Chinese companies in the West, and probably Chinese scholarships given to government officials, all could well be termed as potential vehicles of sharp power. Of course, internal characteristics of states can influence their foreign policy as democratic peace theorists- those who claim democracies do not fight wars against each other, partly because their leaders are restrained by their societies and that they also have other means to resolve problems – have argued. However, sometimes, these broadsided narratives are also part of a strategy of de-legitimization of a rising power, and they fit the template of off- cited description of revisionist power that could be destabilizing for its neighbours and the world. We are indeed living in the same world. However, given our social economic conditions, we do have priorities different from those of Australians or Americans. Countries should conduct their foreign policy to advance, first and foremost, their self- interest. That would mean, in navigating those real and imagined claims of Chinese mechanizations, Sri Lanka has to assess the larger implications on overall national interest. We also need to be realistic. Given the scale of China’s economic presence, it will sooner or later seek to influence the domestic politics. On the other hand, China’s regime friendly relations with whoever in power also exposes it to the ire of the opposition parties. China is not the only country to vie for influence, others too do so through their own agencies, defence attaches and other influence peddling vehicles. There again, the problem here is the murky election financing in Sri Lanka, which needs to be regulated. However, mingling foreign policy with cut- throat domestic politics is a dangerous gamble. This is good time to take a swipe at the Rajapaksas, but that could come at the expense of Sri Lanka’s ties with China, and by extension, our long term national imperatives. The government should desist its back-benchers from opening a can of worms.